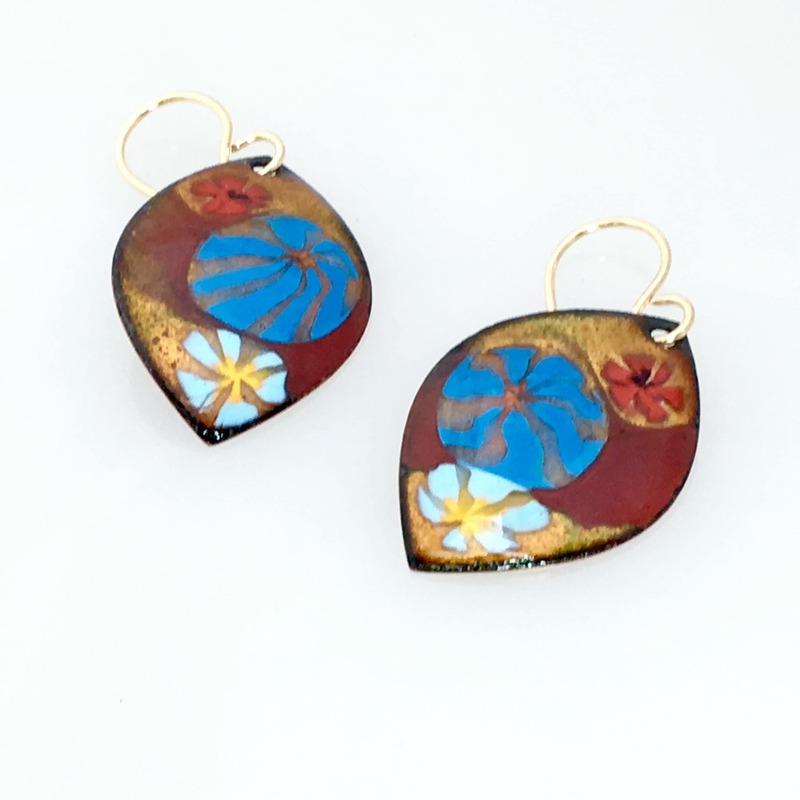 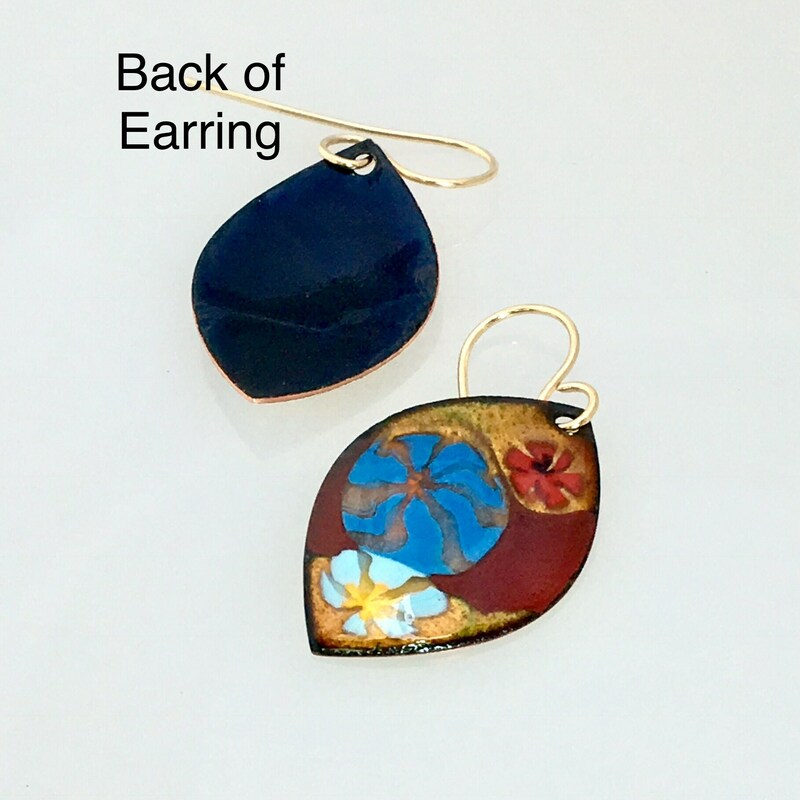 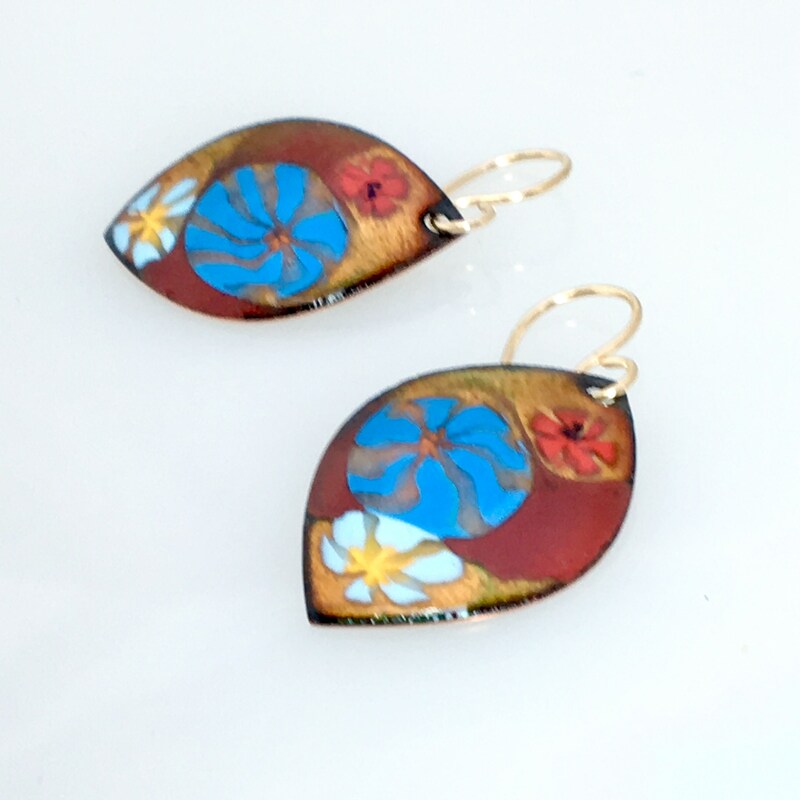 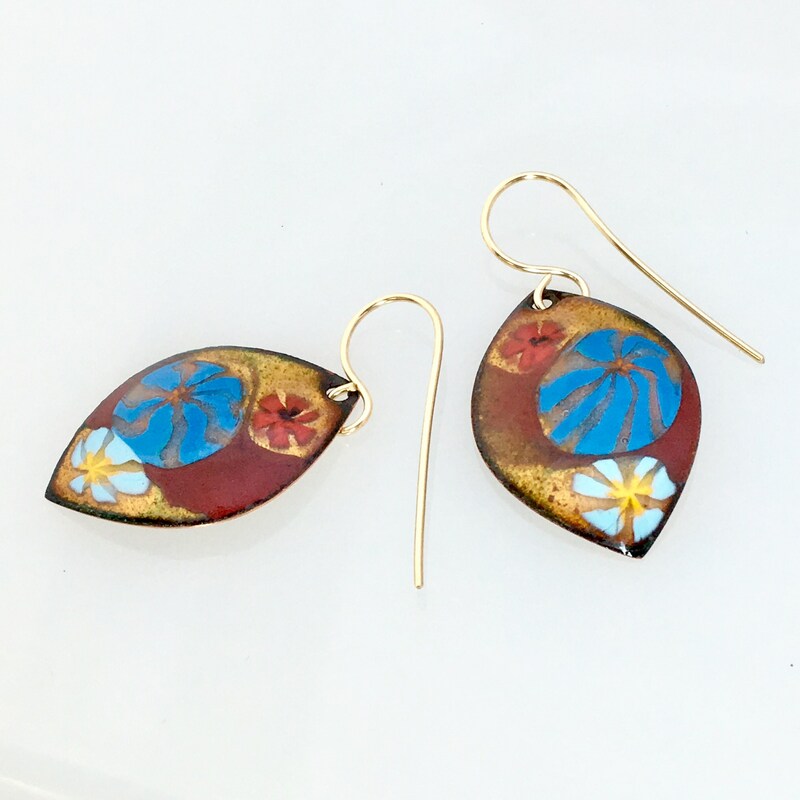 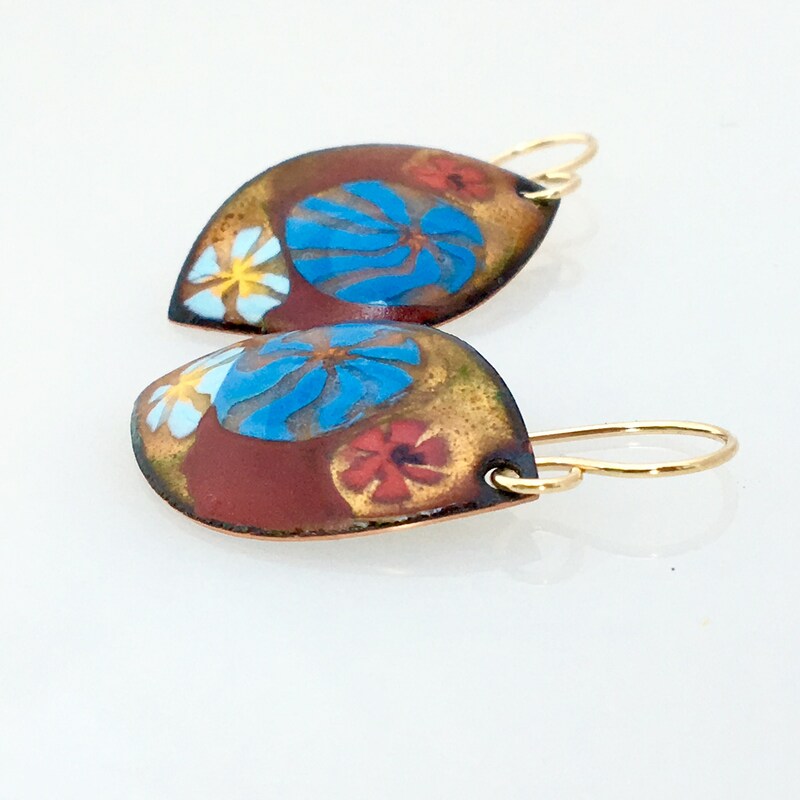 Original enameled earrings with a bright colorful floral design in red & blue on a rich gold background. 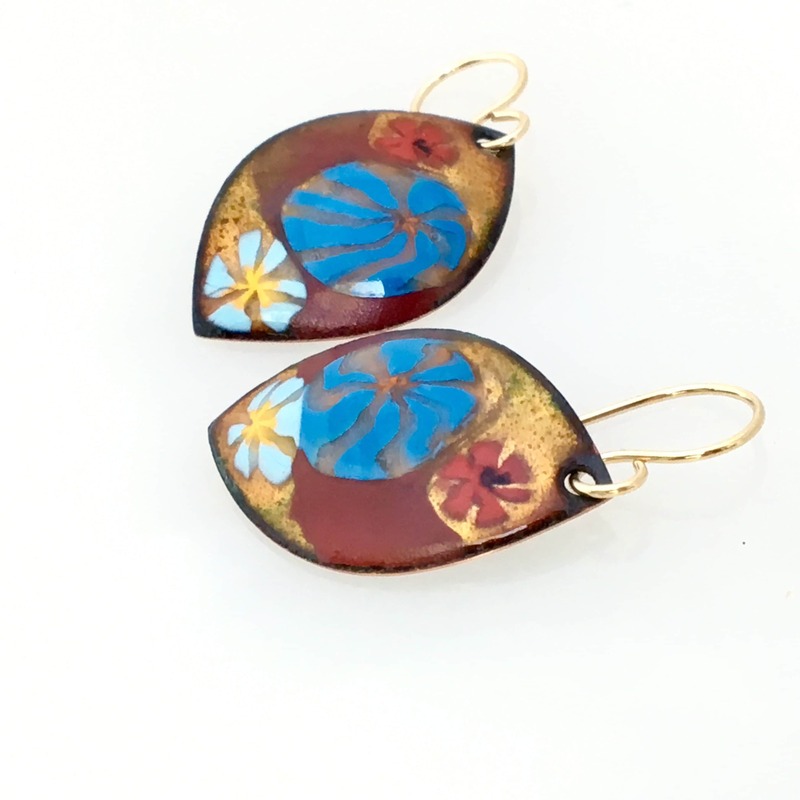 Small copper leaf shapes, 1 1/8” tall and 3/4" wide, are domed, counter enameled in a dark blue-black, & dangle from handmade earwires of 14-20 gold filled wire. 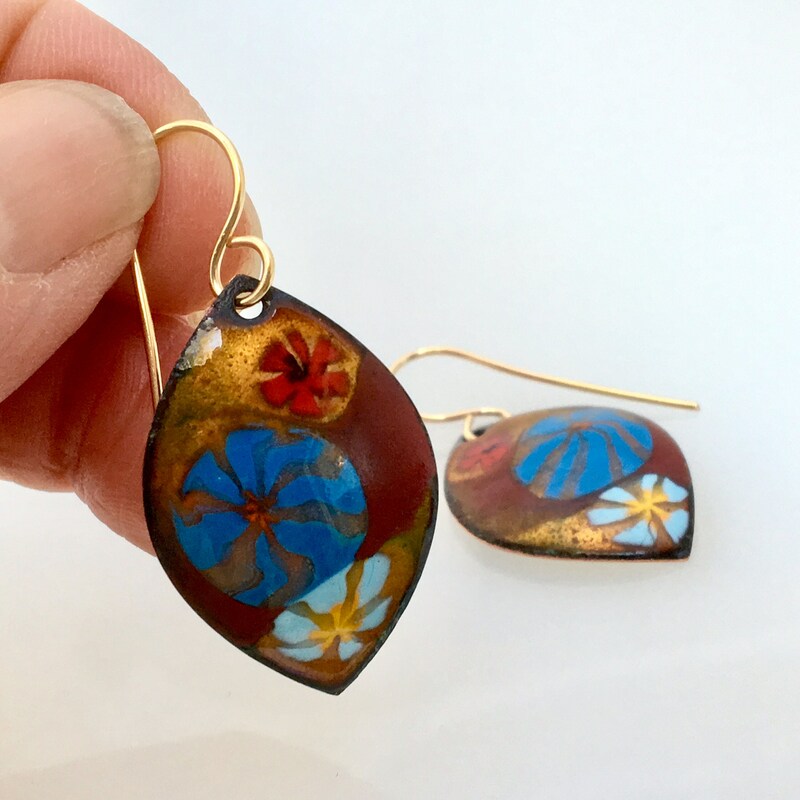 My earrings are hand enameled in a kiln under high heat where glass powders & pieces melt and bond with the metal, layer upon layer, for a permanent durable design. 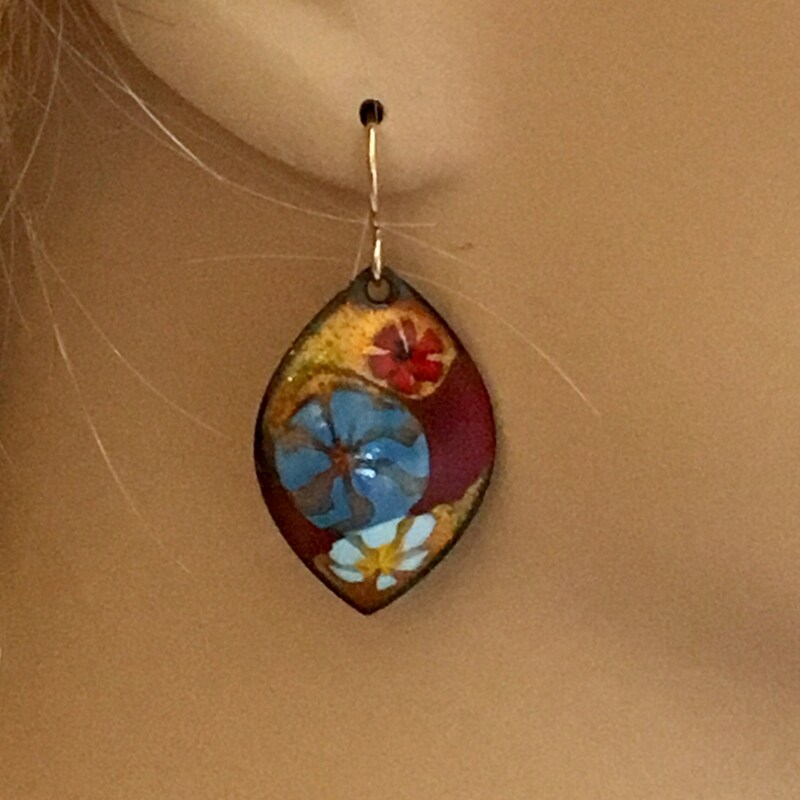 These colorful petite shapes are lightweight and swing freely for a total length of about 1 1/2” measured from the top of the ear wire. 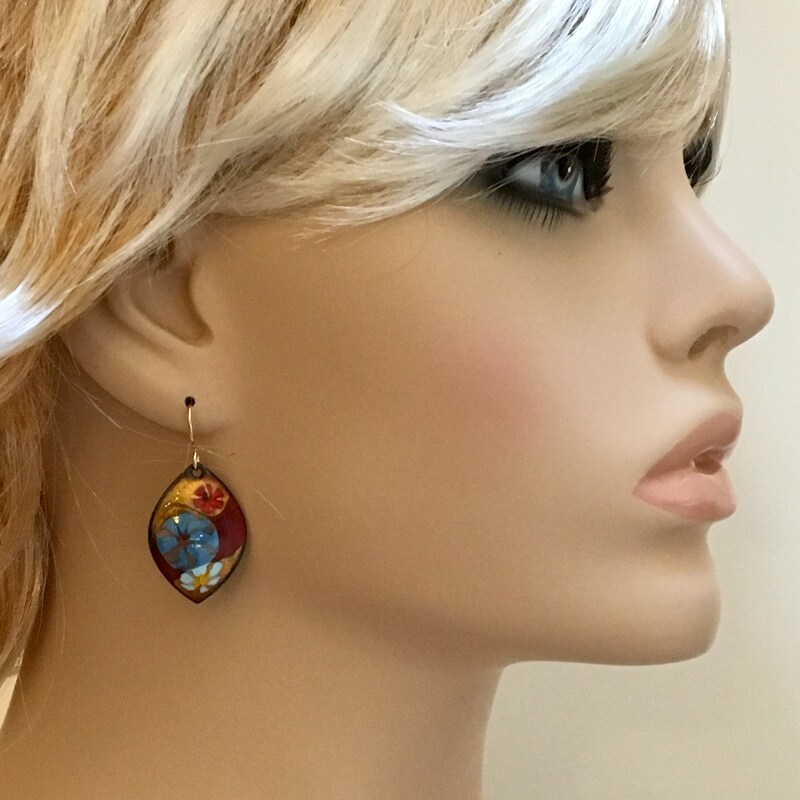 Earrings of the same size & shape, but a different color, are shown on the mannequin. 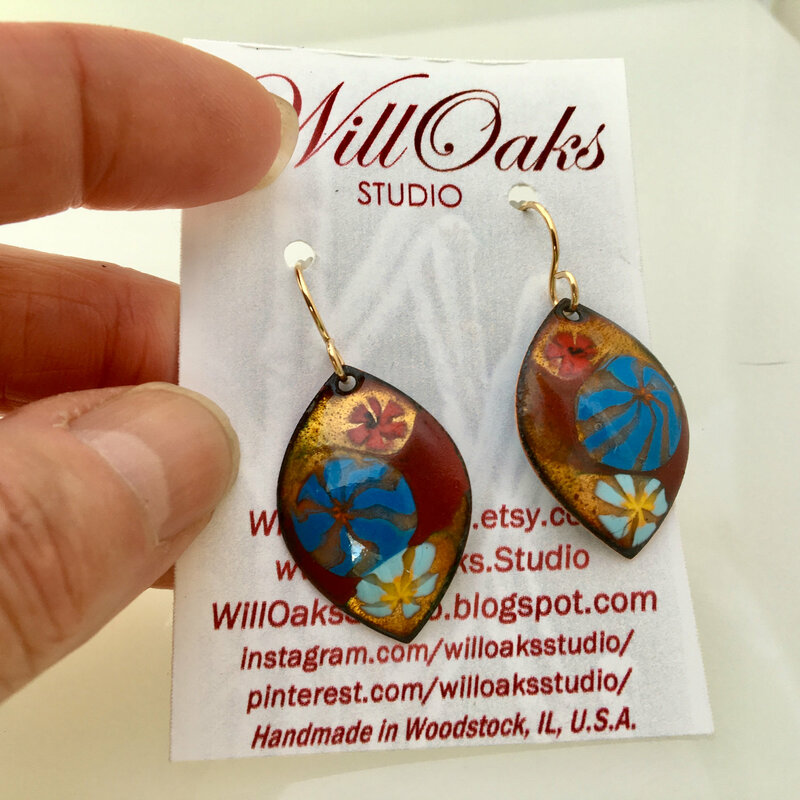 A unique gift for the woman who loves nature, the great outdoors, and original art jewelry, these earrings are ready to ship!